Registration for the 18th annual San Dimas Stage Race (SDSR), scheduled for March 24th – 26th, 2017, is now open at BikeReg.com. World class professional, talented amateur and Junior cyclists from around the world are signing up to compete in this highly regarded race which is hosted by the SC Velo Cycling Club. Three exciting stages of racing are scheduled as well as Kids Races on the last day. 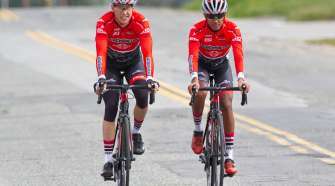 800+ professional and amateur cyclists are expected to compete for cash prizes and medals. Stage 2 will be a Road Race around Bonelli Park sponsored by San Dimas Community Hospital. The course is a 7 mile rolling and twisting circuit which includes short climbs. The riders will make from 4 to 12 loops around the course depending upon category. The first group starts at 7:50 AM and the last (Pro men) at 1:15 PM. A special viewing area for the race is being planned inside the Park at Heckler Hill, details will be posted on the SDSR web site and Facebook page as soon as they are finalized. Stage 3 is a Criterium around the streets of Old Town San Dimas sponsored by Incycle bike stores and Cannondale bikes. 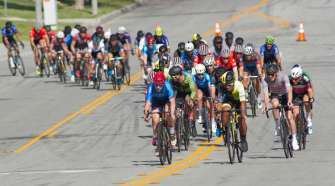 The racers will ride quick loops around a tight, 1.2 mile circuit with 6 sharp corners, for times varying from 35 to85 minutes depending upon their category. The first group will start at 7:00 AM and the last group will start at 3:05 PM. For spectators, this will be a fast and up-close race, with lots of good viewing spots around the tree lined course. Please visit sdsr.bike for more information about the race, registration, and lodging. 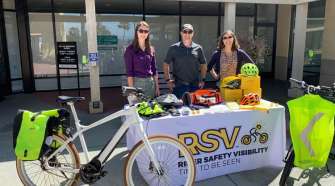 Information about SC Velo can be found at scvelo.bike. Registration is currently open for all categories at BikeReg.com.